DESCRIPTION Welcome to this brand new custom built Milne Home! Their attention to quality & high end details is impeccable. This modern 3 bedroom home is in a desirable Renfrew location. The main floor features low maintenance twelve oaks hardwood, a stunning open floor plan w/ 10 foot ceilings & large custom high efficiency lux windows which lets in loads of natural light in the home. The chief kitchen includes Camantra design custom cabinets, a built in solid walnut butcher block & Jennair stainless steel industrial grade package. The solid oak staircase leads to the second floor which features a master retreat with its own private balcony, large master closet & a beautiful ensuite bathroom. Which includes a fully tiled steam shower, his & hers sinks & a free standing tub. The property has an endless amount of high end upgrades-Rubi soligo sinks & faucets, 8ft solid core doors, custom built-ins, zone control temperature & added owens corning safe & sound which allows maximum noise cutting between both properties. Home for sale at 1520 Child AV Ne Calgary, Alberts T2E 5E5. 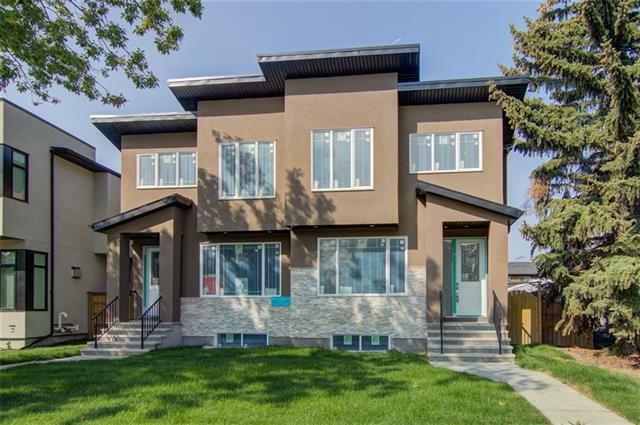 Description: The home at 1520 Child AV Ne Calgary, Alberta T2E 5E5 with the MLS® Number C4222524 is currently listed at $1,100,000.